Who Knew? 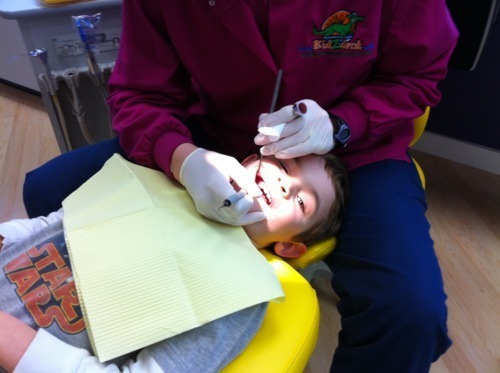 Adventures in Dentistry | Daddy's in Charge? When I agreed to switch the boys dentist appointment to Monday morning at 8:00 am I definitely wasn’t thinking right. Monday morning is normally not the best time for my kids as I am sure it isn’t with a lot of parents, and now I am going to add some poking and prodding with sharp instruments in my boys mouths to the mix, yikes! The routine for Carter, one of them who shall remain nameless, normally starts off with him screaming for mommy, followed by yelling that his socks don’t fit right and ending with the usual “talk” about how he doesn’t want to go to school. Monday morning WHAT THE HELL WAS I THINKING? Somebody just shoot me so I don’t have to deal with the craziness! There is a reason why things are as bad as pulling teeth. After an unusual morning fight over wanting to wear shorts(???) something magical happened after passing through the door of the dentist office. My little men acted like just that, MEN. What the heck was I getting all worked up about. Conversations of tooth tickling and Star Wars helped ease the time. I don’t know what the boys were talking about;) No one made a peep and seemed to actually enjoy it. Well maybe I am getting a little carried away. As you can see by these photos there was no screaming, punching or throwing things… just open wide, spit, and rinse. 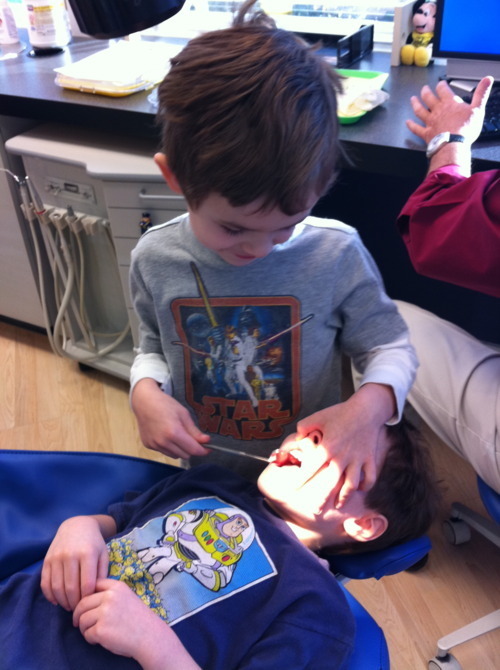 This was my first time taking the boys to the dentist so I had no idea how they would react, I just expected the worst. 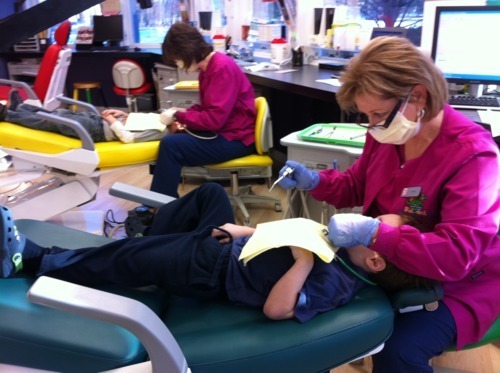 The lesson learned here is not so much to expect more from your kids, but make sure that you brush your kids teeth well every day because you don’t want to end up on a three month recall. Twice a year is tempting fate and six months from now someone will end up getting a tooth knocked out. Certainly I would not want that to happen to either hygienist.